Bright, sunlit, and memorable! A stunning curb appeal sets the tone for a property that is sure to leave a lasting impression. This property's 4 bedrooms/3 baths are organized in a split plan arrangement which creates opportunities for privacy while allowing the common areas to have maximum floor space for gathering. Come experience the double-door master suite for yourself as it feels like you've walked into your very own 5-star resort. The master bath has his/her closets, 2 separate sinks, and features an open walk-in shower set behind a beautiful garden soaking tub. Other living areas include a french-door office, formal dining room, separate living/family rooms, and a gorgeous kitchen with rich earth tones, island, desk/bar area and breakfast nook. Both the master suite and living room have exits leading out to a screen-enclosed lanai equipped with breezy ceiling fans overlooking a well-maintained fenced lawn. 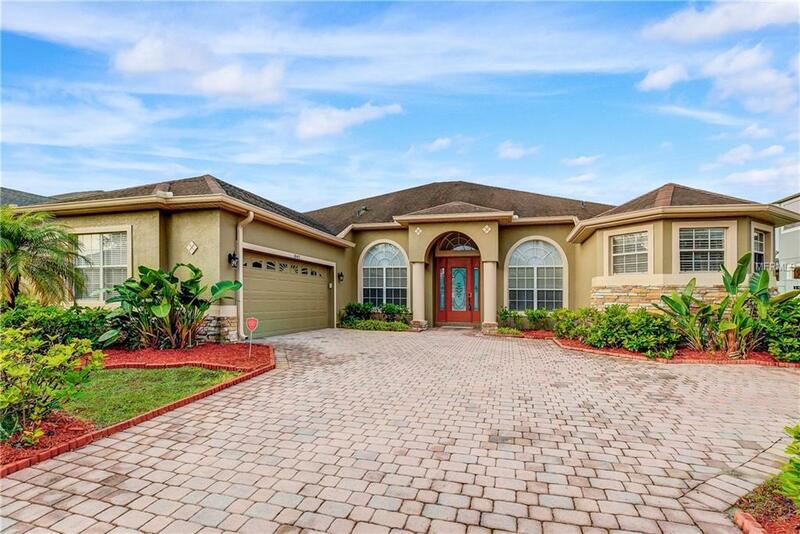 Bordered by popular roadways, the community of Cypress Lakes is far enough away to embrace Orlando's rare peace and quiet but still easily accessible to everything you may need. The HOA offers its homeowners community amenities such as a clubhouse, community pool, tennis and basketball courts, playground, and a dog park. Come experience all this home and community have to offer. Schedule your tour today! Note: Updates include fresh exterior paint (2018), seamless gutters (2018), and hot water heater (2017).